The name of the Association is “The New Zealand Stock and Station Agents’ Association (Incorporated) (“the Association”). Means a person, firm or company that is elected as a member of the Association. Means the New Zealand Stock and Station Agents’ Association (Incorporated). Means the Executive Committee of the Association elected in accordance with Rule 19. Means the Chairperson of the Association elected by the Members in accordance with Rule 12 and includes any person acting as such from time to time. Means the Secretary of the Association appointed by the Executive Committee in accordance with Rule 13 and includes any person acting as such from time to time. Means the prescribed form to be completed by any person, firm or company who wish to become a Member of the Association. The Registered Office of the Association is the offices of S.I. Atkins & Associates, 93 Fergusson Street, Feilding or such other venue as decided by the Executive. All meetings of the Association are to be held in such form or place as determined by the Executive. (j) Provide members with information to assist them to comply with key legislation. (k) Do any act or thing incidental or conducive to the attainment of any of the above objects. (l) Pecuniary gain is not a purpose of the Society. 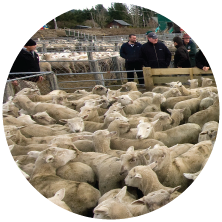 (a) Any person, firm or company whose business is that of a livestock agent or broker may apply for membership by completing an Application Form and submitting this to the Secretary. On receipt of an application, the Secretary will circulate a copy of the application to the Executive. (b) Each application to become a Member is to be determined by a majority vote of the Executive. (v) any other matters which the Members consider desirable or necessary to consider. (d) The Executive shall have complete discretion when it decides whether or not to allow the applicant to become a member. The Executive shall advise the Applicant of its decision, and that decision shall be final. (f) If a Members contact details change that Member shall give the new postal or email address or telephone number to the Secretary. (a) A Member who wishes to resign from the Association is to advise the Secretary in writing. On resignation they forfeit any rights that may have arisen by virtue of membership of the Association. (vii) asked to resign or if in default, to have their membership cancelled by the Association. (b) State what the Member must do in order to remedy the situation; or state that the Member must write to the Executive giving reasons why the Executive should not terminate the Member’s Membership. (c) State that if, within 14 days of the Member receiving the Executive’s Notices, the Executive is not satisfied, the Executive may in its absolute discretion immediately terminate the Member’s Membership. (d) State that if the Executive terminates the Member’s Membership, the Member may appeal to the Association. (e) 14 days after the Member received the Executive’s Notice, the Executive may in its absolute discretion by majority vote terminate the Member’s Membership by giving the Member written notice (“Termination Notice”), which takes immediate effect. The Termination Notice must state that the Member may appeal to the Association at the next Meeting by giving written notice to the Secretary (“Member’s Notice”) within 14 days of the Member’s receipt of the Termination Notice. (f) If the Member gives the Member’s Notice to the Secretary, the Member will have the right to be fairly heard at an Association Meeting held within the following 28 days, if the Member chooses, the Member may provide the Secretary with a written explanation of the events as the Member sees them (“the Member’s Explanation”), and the Member may require the Secretary to give the Member’s Explanation to every other Member within 7 days of the Secretary receiving the Member’s Explanation. If the Member is not satisfied that the other Association Members have had sufficient time to consider the Member’s Explanation, the Member may defer his or her right to be heard until the following Association Meeting. (g) When the Member is heard at an Association Meeting, the Association may question the Member and the Executive Members. (h) The Association shall then by majority vote decide whether to let the termination stand, or whether to reinstate the Member. The Association’s decision will be final. A Member who resigns or has their membership of the Association cancelled is not to be released from any liability to the Association for any subscriptions, fees or levies outstanding at the time of their resignation or cancellation. However, they forfeit any rights that they may have had which may otherwise have arisen by virtue of membership of the Association. (b) The sanctions set out in paragraph (a) of this Rule may only be imposed by a simple majority vote of the Executive. (c) A Member who resigns or has their membership of the Association cancelled is not to be released from any liability to the Association for any subscriptions, fees or levies outstanding at the time of their resignation or cancellation. However, they forfeit any rights that they may have had which may otherwise have arisen by virtue of membership of the Association. (b) If the application is made after 31 December the annual subscription fee shall be reduced by half. (c) In addition to the annual subscription fee, each Member is to pay any levies that may be fixed from time to time by the Executive within 30 days of receipt of notice of such a levy. (d) If any member does not pay a subscription or levy by the date set by the Committee or the Association, the Secretary will give written notice that, unless the arrears are paid by a nominated date, the Membership will be terminated. After that date the Member shall (without being released from the obligation of payment or any sums due to the Association) have no Membership rights and shall not be entitled in any Association activity. (c) That use has been approved by either the Executive or by majority vote of the Association. (d) Borrow money and provide security for that if authorised by the Executive. The Members are to elect at each annual general meeting a Chair for the following two years. In the event of the absence, sickness or incapacitation or death of the Chair, the Executive shall elect another member of the Executive to act in this capacity. (a) Ensuring that the Rules are followed. (b) Convening Meetings and establishing whether or not a quorum (half of the Executive) is present. (c) Chairing Meetings, deciding who may speak and when. (d) Overseeing the operation of the Association. (e) Providing a report on the operations of the Association at each annual general meeting. (a) The Executive may appoint a Secretary to handle the day to day administration of the Association on such terms and conditions, as the Executive deems appropriate the Secretary must be appropriately qualified and possess the skills and competencies to understand responsibilities of the role and the applicable legislation. (b) All documents books and papers, which are the property of the Association, are to remain in the custody of the Secretary. (c) The Secretary is to attend all meetings of the Association and the Executive and record minutes of the proceedings of those meetings. The Secretary is to conduct the correspondence of the Association and is to lodge in the Association’s bank account all moneys received which belong to the Association. If a Secretary has not been appointed, the Chair is to carry out the duties of the Secretary. (i) Keeping the Register of Members. (ii) Receiving and replying to correspondence as required by the Executive. (iii) Keeping proper accounting records of the Association’s financial transactions to allow the Association’s financial position to be readily ascertained. (iv) Providing financial information to the Executive as the Executive determine. (v) Forwarding the annual financial statements for the Association to the Registrar of Incorporated Societies upon their approval by the Members at an annual general meeting. (vi) Advising the Registrar of Incorporated Societies of any rule changes. (a) The Secretary is to be responsible for the preparation of a statement of the financial affairs of the Association prepared in accordance with the Associations accounting policies as at the 30th day of June in each year and is to present that statement to the annual general meeting of the Association for that year. (b) The financial year of the Association begins on 1st July and ends on 30th June of the next year. Each member is to have the right to appoint a delegate to any general meeting of the Association. Each representative of a Member is to be deemed to have the authority to act for and on behalf of the Member. (a) An annual general meeting of the Association is to be held in each year, as soon as can be conveniently arranged after the 30th day of June but in any event not more than three months after the date at which the annual accounts are prepared. (iv) Consider any other matters which may be submitted to the meeting. (d) Votes may be recorded personally, by ballot, or by proxy. The form of proxy must be in the hands of the secretary one day, (24 hours), before the meeting at which it is proposed to be used. An instrument appointing a proxy shall be dated and signed by the member making the appointment. (e) All general meetings are to be advised by written notice delivered or emailed to each Member 14 days before the date of the meeting. The notice of the meeting is to set out fully the business to be put before the meeting. (f) A quorum at any general meeting of the Association is to be four members. (g) All Members may attend and vote at Association Meetings. (h) Any Member may request that a motion be voted on (“Member’s Motion”) at a particular Association Meeting by giving written notice to the Secretary at least 28 days before that meeting. The Member may also provide information in support of the motion (“Member’s Information”). The Executive may in its absolute discretion decide whether or not the Association will vote on the motion. However if the Member’s Motion is signed by at least 25% of eligible Members. If the Secretary fails to do this, the Member has the right to raise the motion at the following Association Meeting. (i) The Executive may also decide to put forward motions for the Association to vote on (“Executive Motions”) which shall be suitably notified. Notices of all general meetings of the Association are to be delivered or emailed to all persons entitled to receive them but the non-receipt by any person and consequent non-attendance at a general meeting by that person is not to invalidate any proceedings at any such meeting. (a) Each Member is to be entitled to exercise one vote at any general meeting of the Association. (b) All questions and remits at a general meeting shall be decided by a simple majority of votes. (c) In the case of an equality of votes the Chair of the general meeting is to have a casting vote. 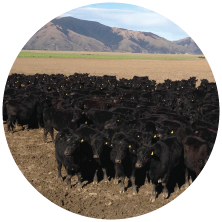 (a) The management of the affairs of the Association is to be in the hands of the Executive which may comprise of up to 8 members plus the Chairperson with not less than one representative from each of the members present that have 21 or more Livestock Agents under their control as at the date of the AGM. (b) The members of the Executive shall be eligible for re-election on an annual basis but if no nominations are received they shall remain for a two year term. The elections shall be held at the annual general meeting where the appointments shall be decided by a simple majority of votes. (d) Any vacancy on the Executive caused by resignation or otherwise prior to the date of an annual general meeting may be filled by appointment of the Executive at their discretion, until the next annual general meeting. (i) They resign by giving written notice to the Executive. (ii) They are removed by majority vote of the Association at an Association Meeting. (f) If a person ceases to be an Executive member, that person must within one month give to the Executive all Association documents and property. (i) Decisions of the Executive bind the Association, unless the Executive’s power is limited by these Rules or by a majority decision of the Association. Executive meetings are to be held as required but it is expected that there would be at least one per year. (a) Special Executive meetings may be held at any time upon notice being given by the Chair, or upon a requisition of two Members delivered to the Secretary. Notice of a special Executive meeting may be given by the Chair in such form as the Chair determines, including by telephone. (c) Four members of the Executive constitute a quorum for a meeting of the Executive. (d) Only Executive Members present at an Executive meeting may vote at that Executive meeting. (a) At all meetings of the Executive, each member of the Executive is to be entitled to one vote. (b) Every question is to be decided by a simple majority of votes and in the case of equality of votes the Chair of the meeting is to have a casting vote. 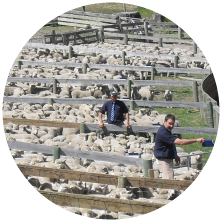 All members are required to observe the Rules, the Association’s standard conditions of sale and generally the terms, customs, practices and regulations from time to time enforced in the livestock agency business. The funds of the Association are to be under the control of the Secretary and any surplus funds may be invested in the name of the Association from time to time with the approval of the Executive. (a) The Executive shall provide a common seal for the Association and may from time to time replace it with a new one. (b) The Secretary shall have custody of the common seal, which shall only be used by the authority of the Executive. Every document to which the common seal is affixed shall be signed by the President and countersigned by the Secretary or a member of the Committee. (c) Any other documents requiring execution by the Association are to be binding upon the Association if signed for and on behalf of the Association by the Chair or the Secretary. The Executive is to have the power to act as a referee or decide any special matters or points referred to it by agreement by any of its Members and the decision of the Executive is to be binding upon the Members referring the matter to the Association for a decision. (a) The Association may alter or replace these Rules at an Association Meeting by a resolution passed by a two-thirds majority of those Members present and voting. (b) Any proposed motion to amend or replace these Rules shall be signed by at least 5 eligible Members and be given in writing to the Secretary at least 28 days before the Association Meeting at which the motion is to be considered, and accompanied by a written explanation of the reasons for the proposal. (c) At least 14 days before the General Meeting at which any Rule change is to be considered the Secretary shall give to all Members written notice of the proposed motion, the reasons for the proposal, and any recommendations the Committee has. (d) When a Rule change is approved by a General Meeting no Rule change shall take effect until the Secretary has filed the changes with the Registrar of Incorporated Societies. The Committee may from time to time make, alter or rescind bylaws for the general management of the Association, so long as these are not repugnant to these rules or to the provisions of law. All such bylaws shall be binding on members of the Association. A copy of the bylaws for the time being, shall be available for inspection by any member on request to the Secretary. (iii) No distribution may be made to any Member. In case any matter or subject is found at any time not to be provided for in these Rules or in case any doubt arises as to the interpretation, effect or construction on any of these Rules or of any condition or regulation of sale or for any purpose subject or matter, every such matter or doubt is to be determined by a majority of the Members present at a general meeting of the Association which decision is to be final, provided that notice has been given to all Members that such matter or doubt has arisen and of the meeting at which the matter or doubt is to be discussed and resolved. There shall be no joining fees. Currently there are no specific fees or levies in place.